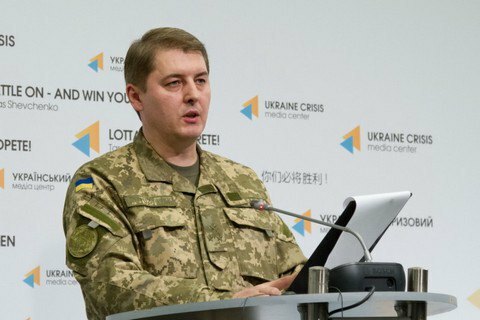 Five Ukrainian servicemen were wounded in the antiterrorist operation in Donbas on January 8, the Defence Ministry's press officer for ATO, Oleksandr Motuzyanyk, told a briefing on 10 January. "Over the past 24 hours, no Ukrainian soldiers were killed but five our troops were wounded," he said. The ATO HQ earlier said that Russia-backed militants carried out attacks with small arms and heavy weapons. On January 9, five Ukrainian soldiers were wounded in the ATO area. Motuzyanik also noted that over the past week, 12 spans of enemy drones were recorded in the ATO zone. One Ukrainian soldier killed, three wounded in Donbas on Jan 10.